Always an icon! 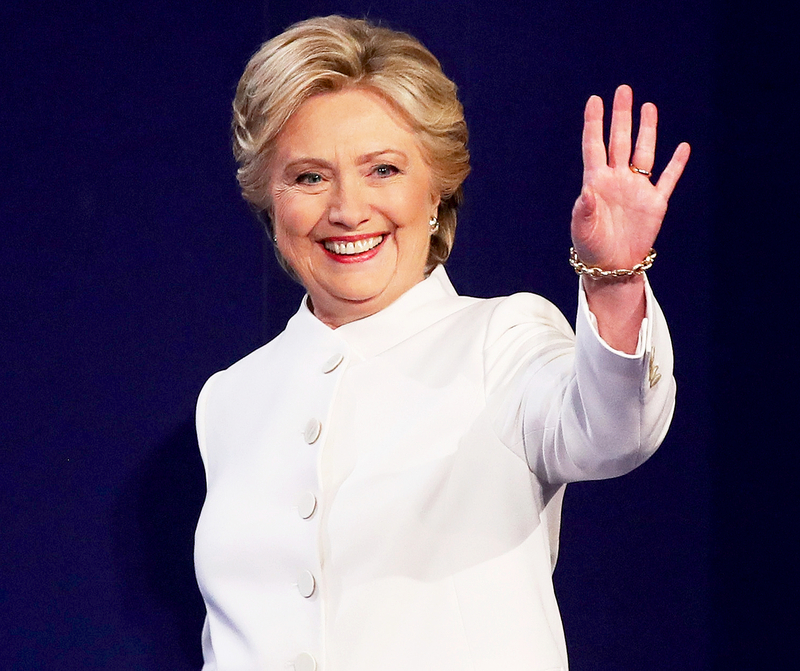 Hillary Clinton may have lost the presidential election to GOP rival Donald Trump in the early hours of Wednesday, November 9, but she’s still made history as an important and influential politician and feminist. Here, Us Weekly Video looks back at her life. Clinton&apos;s peers always knew that she had a bright future. The Chicago native, 69, was voted "Most Likely to Succeed" at Maine East High School in Park Ridge, Illinois, before she went on to attend Wellesley College. She&apos;d later meet her husband, future president Bill Clinton, at Yale Law School. Bill, 70, proposed to Hillary three times before they eventually tied the knot in 1975. "I married my best friend. I was still in awe after more than four years of being around her at how smart and strong and loving and caring she was," he said during his speech at the Democratic National Convention in July. "[She&apos;s] the best darn change-maker I ever met in my entire life." In 1977, Hillary cofounded the Arkansas Advocates for Children and Families nonprofit organization. Two years later, when Bill was elected governor, she became the first lady of Arkansas and kept that role for 12 years. The couple went on to support each other as Bill was elected president in 1993. During her eight-year term as first lady, Hillary focused on her lifelong passion: rights for women and children. "Human rights are women&apos;s rights and women&apos;s rights are human rights," she famously said in Beijing in September 1995. Hillary continued to climb in the political realm following Bill&apos;s second term. She was elected to the Senate in 2000 (the first woman to do so from New York) and held that title from 2001 to 2009. She first ran for president in 2008 but conceded the nomination to President Barack Obama. Despite the loss, she never gave up and went on to serve as secretary of state in the Obama administration from 2009 to 2013. For more on Hillary, watch the video above!